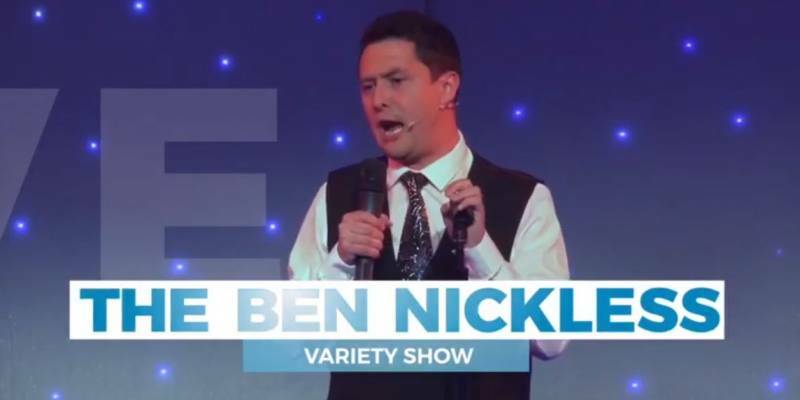 Enjoy another evening of superb variety entertainment headlined by pantomime favourite Ben Nickless. Best known for his hilarious appearances in Peter Pan, Snow White, Aladdin and more recently in Beauty & The Beast. Ben brings his own madcap comedy, uncanny vocal impressions and plenty of brand new material for one night only. Joining Ben will be Britain’s Got Talents 2018 runner up, Robert White with his unique musical comedy routine. There will also be appearances from Nottingham’s own Lia White following her appearance on the recent season of The Voice, International Juggler Jon Udry and returning from ITV’s Keeping It In The Family award winning magic act Matricks. With a superb supporting cast and live band it promises to be an unmissable night! Save up to £2 on select seats in the Stalls, Dress Circle and Upper Circle.